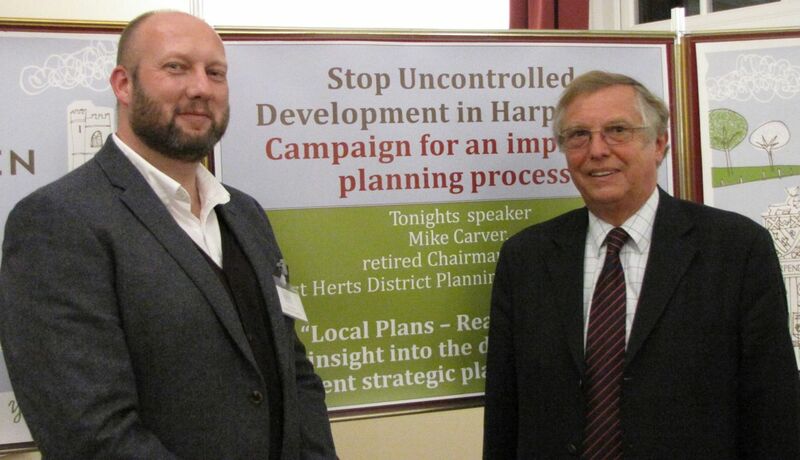 Today’s planning procedures, as set out in the government’s National Planning Policy Framework (NPPF) and exemplified by St Albans District Council’s Strategic Local Plan, are deeply flawed, according to a recently-retired Hertfordshire local authority officer. 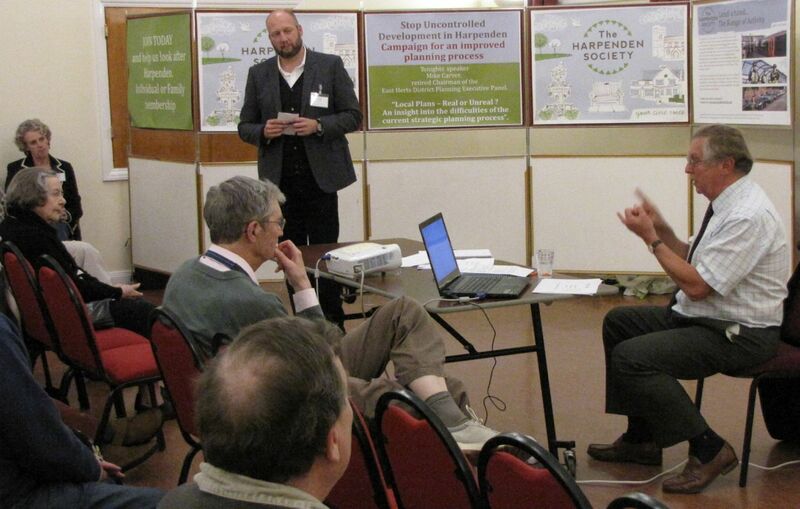 At the October meeting of the Harpenden Society, guest speaker Mike Carver, former East Herts District Council executive member for strategic planning, said improved procedures were needed. He criticised the failure of today’s processes, in the supposed drive to provide more housing, to live up to the NPPF’s cardinal principles of sustainability, affordability, viability and deliverability. Although those four principles were all admirable aspirations, it was evident over the last twenty years, he said, that as councils strove to reconcile them, unavoidable conflicts had emerged, making the task impractical and often impossible. National reorganisation, abolishing the former regional structures, mainly in favour of larger areas had, said Mr Carver, led to lack of co-ordination and to muddle. Central government, county councils and district councils all wanted to influence planning decisions. Furthermore the reorganisation clashed with the proclaimed benefits of ‘localism’, often because, in practice, too many other stakeholders were far from being local. More crucially it led to the problem - massive but too often ignored - of infrastructure provision. Where new housing was planned, there was frequently little or no attention paid to the associated need for highway upgrading, water supply or schools provision. Responsibility for funding what Mr Carver called the infrastucture ‘gap’ inevitably became bogged down in prolonged negotiations, or arguments, between government and county officials, both often looking to the developers - only too eager to build houses - to contribute financially. Mr Carver also questioned the determination of local authorities to implement the NPPF guidelines in spirit as well as in practice. He cited the issue of Neighbourhood Plans and their sequencing; they are typically submitted for consideration after Local Plan adoption. He criticised the loose phrasing of much of the NPPF documentation, so that its wording could be challenged through the courts. As an example he quoted ‘severe’ in relation to traffic - how severe was severe? Even more contentiously, he cited the term ‘Green Belt’, which the average citizen would think a precise description of a piece of land, but which had proved subject to definitive dispute. When proposals to build on Green Belt were considered, planning authorities, such as St Albans District Council, had to decide whether ‘exceptional circumstances’ applied. But, said Mr Carver, no one had yet come forward with a legal definition of ‘exceptional circumstances’.